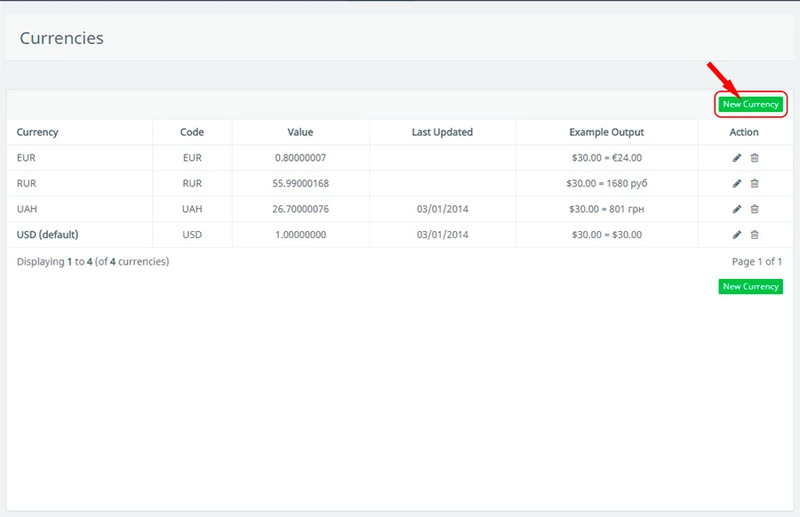 In order to add a new currency, you need to go through "Modules / Currencies" and click "New currency". Enter the required data in the window that opens. 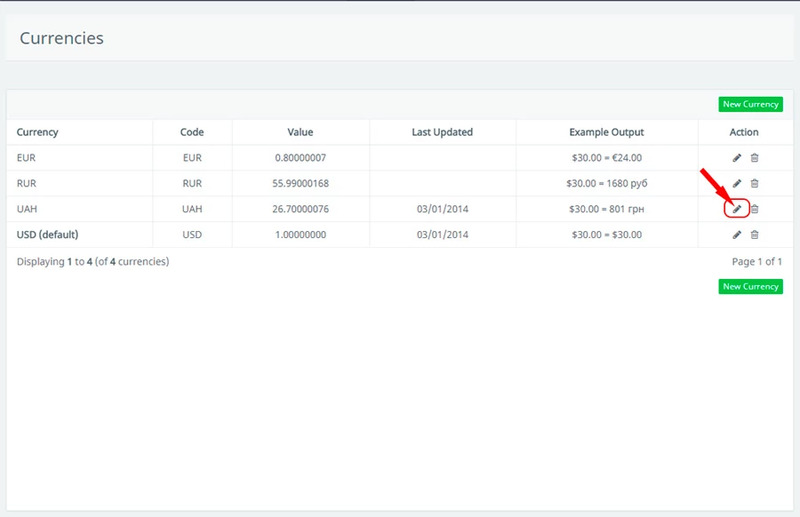 Note: The "Value" item is the exchange rate between the new set currency and the default currency. 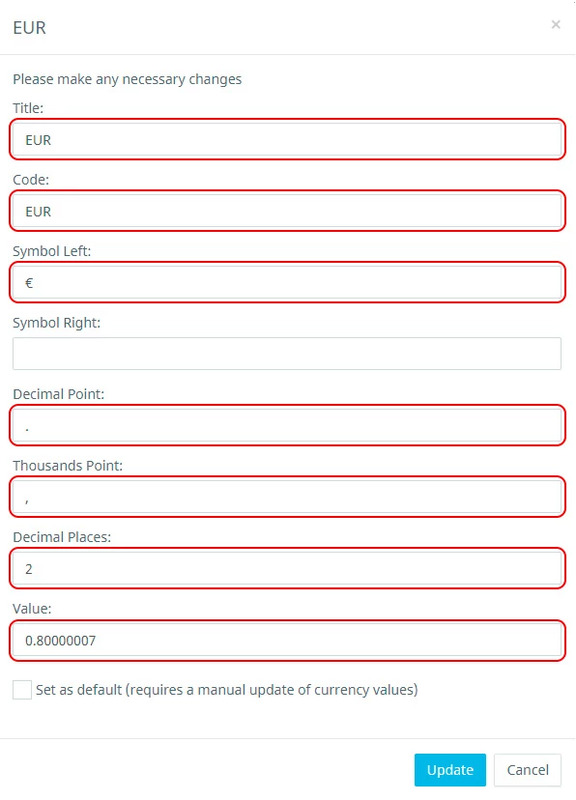 For example, we have the default currency "USD", and the new currency is "EUR", the exchange rate between these currencies is: $1 = €0.80, so in the column "Value" we write 0.80. Attention: the exchange rate between currencies may vary. 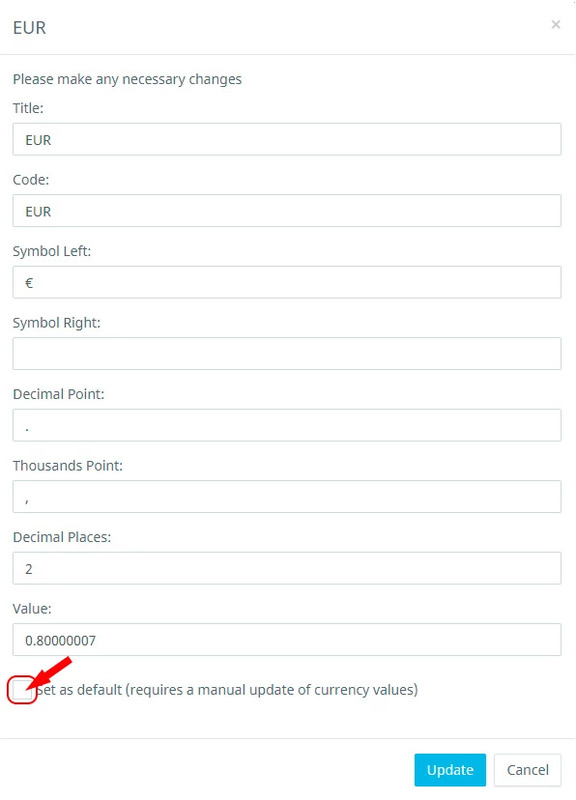 In order to set the default currency, you must click "Edit" next to the selected currency. And in the window that we already know, at the very bottom we put a "tick" in front of the inscription "Set as default"